If you are looking for a new pair of sunglasses we have a full range at Eyesight Opticians, with brands such as Maryse, Nike, Orla Kiely, Calvin Klein, Salvatore Ferragamo, Versace. 90% of our stylish range of sunglasses can take prescription lenses, which means looking good, staying safe and seeing clearly in the sun is easy. By choosing the right frame, lens colour and level of tint, you can combine custom made protection with the most fashionable eyewear around. All our sunglasses have UVA and UVB protection so you can be confident in keeping your eyes thoroughly protected all summer long. All sunglasses are designed to reduce brightness, but glare from the sun can still cause eye strain or squinting – which can be particularly hazardous whilst driving. 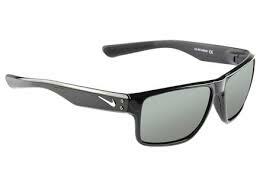 To avoid this you can use polarised lenses which provide 100% protection from glare and UV rays.